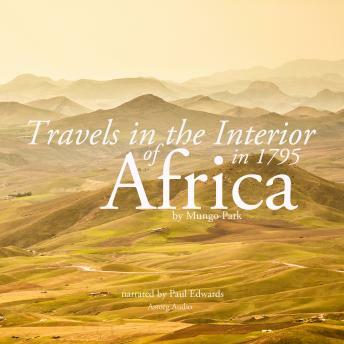 Mungo Park was an explorer of the real kind. In 1795, only aged 24, he left Gambia for the uncharted interior of Africa, in a journey that would be filled with tragedy, heroism, and adventure. Park was the first European to ever reach the river Niger and the legendary city of Timbuctoo, thus resolving, once and for all, a century-old geographic debate. He travelled with local guides and later entirely alone, through warring kingdoms, robberies, imprisonment, and extreme duress. By the time he returned to Gambia, he had long been given up for dead. The Travels in the interior of Africa are a collection of the meticulous notes he kept during his journey. This story of exploration and survival told in a simple tone offers unique insight into conditions in West Africa in a time already far away; it is informational, inspiring, and highly entertaining.